Centsable Mom's received this product free in exchange for my honest opinion and all opinions are my own. These are some of the best looking hair cutting scissors that I have seen in a long time, I also love the fact that they come in a case that keeps them organized and keeps the comb and the scissors together. The price is affordable and the quality is awesome, I have not had any bad experiences to report thus far with this product. Overall I would have to say that I would recommend this product to anyone looking for a good quality pair of hair cutting scissors. Barber's Choice scissors comes with a high quality black comb and a premium carry case. Made of high quality 420 Japanese Stainless Steel & razor sharp to help create the perfect fade. Featuring an ergonomic grip, our scissors reduce wrist, elbow and hand strain. Our professional-grade barber scissors are ideal for a barber shop, salon, or even home use. Our product comes with a Lifetime Guarantee so you can buy with confidence! As a barber or hair stylist you know better than anyone that creating the perfect hair cut requires professional barber scissors. Each and every day your clients trust you to get their hair cut just right. From flat tops to high fades to the Pompadour, you need to not only have the vision to make it perfect, you need the right tools. That's why you need professional-grade Barber Scissors by Barber's Choice. Made of premium quality 420 Japanese Stainless Steel, our barber shears offer an ergonomic design that won't stress your wrist, hand, or elbow, allowing you to snip, clip and cut with razor sharp accuracy. As a professional you truly value your clients' respect and loyalty. Give them the best haircut they can possibly receive by investing in the most versatile and effective barber scissors today. Pick up a pair of Barber's Choice Barber Scissors and see what a difference they truly make for your clients. Do you know the feeling when your scissors aren't sharp enough and they pull out your client's hair rather than cut it smoothly? As a barber, you can't allow yourself to go without sharp scissors that will last a long time. That is why our Barber's Choice barber scissors are the perfect solution for you. Our scissors are made from premium Japanese 420 Stainless Steel with a razor sharp blade and have been tested by many professional hair stylists. We are confident that our scissors will meet and exceed your expectations. - Crafted using premium 420 Japanese Stainless Steel. - Razor sharp blade to create the perfect trim, cut and fade. - Ergonomic design to relieve tension. - 30-day money back guarantee. Click HERE to check out this product on Amazon or feel free to click any of the pictures below to be taken directly to the Amazon product page. Centsable Mom's received this product free in exchange for my opinion and all opinions are my own. This is a very nice well made scale, this scale is heavier and better made than others I have tried. This scale goes up to 550 pounds and is very wide as far as scales go. This scale has a big number display that is easy to both see and read. This product is very handy to have. The EatSmart Precision 550 is the highest capacity (550 lb/250 kg) digital bathroom scale on the consumer market featuring a stainless steel platform. Four EatSmart precision sensors ensure accurate measurements in 0.2 lb or 0.1 kg increments. The wide, sturdy 15" x 13” stainless steel platform is complimented with sleek black accents and a large 3.7" x 2.2” cool blue, backlit LCD display. The scale beeps three times when a weight locks in, giving the user the ability to step off and easily view the display. The scale is powered by 3 AAA batteries (included) and "Step-on" technology that lets users step on the scale and instantly get their weight. The 550 includes our 100% EatSmart satisfaction guarantee and a two-year warranty. These features combined with its super sleek design, differentiate it from other high capacity scales. - As with all EatSmart scales, the Precision 550 includes our 100% satisfaction guarantee and two-year warranty. Centsable Mom's received this product for free in exchange for my opinion and all opinions are my own. These are very detailed and unique guitar picks, they will definitely add something special for the guitar player, lover, or collector. These guitar picks come neatly put into a special metal tin and they come with a leather storage pouch to keep them in. These are so classy and just an overall conversation piece. I was totally amazed and blown away by all of the detail that was put into these. I would definitely recommend these to any guitar player, or pick collector, they would make a great gift. AVOID LOSING PICKS With a Specially Designed Metal Click Clack Box Fits Into Your Pocket & Guitar Case - Push down the middle to open, Squeeze the sides to close. Medium Gauge (0.71mm) Thickness Celluloid - High Quality Printing Provides Natural Feel and a Warm Sound. The image isnt going to come off due to use. Use For Electric,Clasic, Bass and Acoustic Guitars As Well As Ukulele. These bracelets came neatly packaged in a resealable bag and they are not plastic they are made of what I would call a suede like material. These bracelets have a light scent to them not overpowering like other products of this type can have. These bracelets are family friendly and last for 3-5 days and are very effective. My son is a mosquito magnet and these kept the mosquitos away from all of us. After we were finished using them outside we just tucked them neatly back into the handy resealable bag that they came in. These bracelets were very comfortable to wear and did not irritate any of our wrists. I would definitely recommend this product to anyone looking for a mosquito repellent. Easy to use, Snap on Snap Off locks, Our Bands are made of 100% Natural Oil with Lavender, Peppermint and Lemon Grass Scent, You'll Love it! Enzo's Mosquito Repellent Bands are Used by Real Customers and Real Band Life Span is 3-5 Days Protection. Great for HIKING, FISHING, other SPORTS and OUTDOOR Activities Especially in Playground to Protect Your Kids from Mosquito Bites. Our Bracelets are Biocide and has 100% DEET FREE, Non-Toxic, and Recycle Friendly Bracelets. EPA shows DEET is toxic to birds, fish and aquatic invertebrates and Overuse of DEET can have lethal consequences includes Kidney/Liver Damage, Birth Defect, Neurotoxicity and more. So STOP using DEET and Stay using Enzo's Mosquito Repellent Bracelets Now! Enzo's Bite Resistance Bracelets are fully Resealed after used and Each Bracelets Can be Re-Used Up to 3 Months. Non-Used Bracelet Last Up to 5 Months in a Re-Sealable Package. Unopened Packages Stay New and Fully Functional Up to 1 Year After Purchase. Enzo's Mosquito Repellent band can be Strapped to Namely Anything and Anywhere! With 1 you can use them as Bracelets and Ankle-Band for Hiking but with 2 or 3 the Possibility is Limitless - You can Double and Triple the Repellent by Using it on your Arms, Hats, Backpacks, Tents and even Strollers. Great for Both OUTDOOR & INDOOR ACTIVITIES. CLICK HERE OR ANY OF THE PICTURES BELOW TO CHECK OUT THIS PRODUCT ON AMAZON. This toiletry bag is awesome it is very compact and holds all of the items that a person would need when traveling. This bag also has a hanger on it and you can hang it conveniently wherever you need it to be. This product also comes with a free soap dish holder and a toothbrush cover as well. Those are two very handy items to have to keep your soap fresh and in a nice safe spot and to keep your toothbrush clean when you are traveling. I have looked at many bags and they are either big and bulky or they do not have enough room or they do not have the pockets in the right spots. A good toiletry bag is a must when you are traveling and this one has all of your bases covered. I would definitely recommend this product to anyone looking for a good quality travel toiletry bag. Travel Size Toiletry Bag with 6 Compartments for Toiletries. - Convenient carrying handle and a hook for hanging. - *FREE* Soap Case Cover and *FREE* Hygiene Tooth-Brush Head-Cover. - Size :8.46*2.95*6.1 inch/21.5*7.5*15.5 cm. Click HERE or any of the pictures below to be taken directly to Amazon and find out more about this product. I have been needing one of these for a long time and they come in handy we were able to troubleshoot the furnace. We used to it to check the thermostat was getting power and it gave us a very fast and accurate reading. This is a very good product and worked very well when we tested it, the leads are very well made and very durable. This product is very compact and surprisingly light weight and delivers superior performance each time. This product is a very handy product to have around the house and has a multitude of uses and works great. My son also used it to troubleshoot his computer and it delivered accurate results, he found out he was able to diagnose a blown capacitor easily using this product. The Meterteck MT-001 Digital Multimeter is the perfect tool for troubleshoot electrical problems in a wide array of industrial and household devices such as electronic equipment, motor controls, domestic appliances, power supplies and wiring systems. It's compact, lightweight but durable and very easy to operate. It can measure DC current, AC/DC voltage, resistance, continuity (buzzer), transistor and diodes with a very high degree of accuracy. Each unit comes with a pre-installed 9v battery, 2 pairs of high quality Test Leads (for longer use) and a link to a 1 year warranty activation and a Tips & Tricks E-book. Centsable Mom's received this product free in exchange for my hair nest opinion all opinions are my own. I have used many different brands of lavender oil and this one is right up there when it comes to quality when compared to the other brands I have used. This one is definitely of therapeutic quality and lavender oil is great for stress relief and headaches. I also use it in DIY health and beauty projects. Lavender oil has many different uses click HERE and check out this web page I found while doing my product research. I definitely think if you give this product a try you will be pleased with the scent and the quality of this lavender oil. Centsable Mom's gives this product the highest rating on the Centsable Scale of 5 Cents and would definitely recommend this brand because you get alot of quality product for the price. Bulgarian Lavender oil is known to be a source of solutions to a lot more than the above household uses. Lavender oil is a must in any complete essential oil selection, for aromatherapy, massage, skin care, relaxation, and more. • Added to your bath or shower to relieve aching muscles and stress. • Massaged on your skin as a relief for muscle or joint pain, as well as for skin conditions like burns, acne, and wounds. Make sure to dilute it with carrier oil. • Inhaled or vaporized. You can use an oil burner or add a few drops to a bowl of hot water, and then breathe in the steam. • Added to your hand or foot soak. Add a drop to a bowl of warm water before soaking your hands or feet. • Used as a compress by soaking a towel in a bowl of water infused with a few drops of lavender oil. Apply this to sprains or muscle injuries. • It helps kill lice, lice eggs, and nits. • Lavender Oil is one of the few natural remedies for reducing sunspots and signs of aging. Because of its antioxidant properties, it sooths sunburn and quickly heals cuts and dry skin. It has also been used to treat eczema and psoriasis. Click HERE or any of the pictures below to check out this product on Amazon and buy yours today! Above is a picture of the accident and below is the picture after I used TriNova Pet Stain & Odor Remover! Centsable Mom's was given this product free to try and review in exchange for my opinion and all opinions are my own. I do not know about you but I definitely needed a product like this one when pet accidents happen and when you have 4 dogs the occasional accident is not unknown to happen. I have tried several -products from pet stores and big box stores and even some online and have yet to find one that really delivers results. I was fortunate enough to be chosen to try this awesome product from TriNova which is available on Amazon click HERE to find out more about this product and make a purchase today. I could not wait to try out this product and see if it delivers results and it blew me away. I just sprayed the product on the carpet and let it sit for a few minutes and went back there and dabbed the spot and VOILA! that easy and that quickly the spot was gone and so was any lingering odors that I usually have to deal with. I own a carpet shampooer but who wants to break that big thing out every time there is a little accident? Not me let me tell you, this made the cleanup so much easier and I was truly impressed by the results that this product delivered. I would definitely recommend this product to family and friends and all of my readers! This product is by far one of the best I have tried so far and I have tried many different ones. Centsble Mom's gives this product the highest rating on the Centsable Scale of 5 Cents and I know that using this product makes a ton of Sense! Professional Strength - TriNova's Pet Stain & Odor Remover uses a blend of natural enzymes that tackle stains and odors at their root to clean and neutralize. The enzymes work to break down the stains, drying out and disintegrating when they're finished to restore your carpet to like-new condition. All-Around Uses - Your pets don't limit where they leave stains or smells, so the product you use to clean up after them has to be as versatile as they are. This stain and odor remover from TriNova has been designed to work effectively on a wide range of surfaces, including carpet, rugs, upholstery and more. Works on All Stain Types - There's a lot to enjoy about your pets, but the numerous messes they can sometimes leave behind are not on that list. This stain and odor remover is powerful and versatile enough that it'll rid your home of unsightly marks and odors from vomit, feces and even stubborn urine, leaving behind a fresh and clean aroma your whole family can enjoy. Complete Clean & Removal - When a stain isn't fully removed, your pets are more likely to return to the same spot over and over. TriNova's Pet Stain & Odor Remover clears away the stain all the way to the root, which means you don't have to worry about your cats or dogs going back and adding more mess to the same spot. Safe Around Kids & Pets - TriNova understands your pets frequent the spaces where you and your children spend the most time as well. Because of this, TriNova's Pet Stain & Odor Remover contains a formula that leaves surfaces safe for your kids to keep on playing without any worry about harmful chemicals or toxins. Click HERE or any of the pictures below to check out this product on Amazon and purchase yours today! Centsable Mom's received this product free in exchange for my honest review and all opinions are my own. I have been looking for a quality wrist rest and mouse pad with a wrist rest on it for awhile now and tried some of them but the quality was just not there. I would use them for a week or two and then the part that my wrist rests on would start to go flat and they just did not hold up well at all. I was fortunate enough to get chosen for this review and was very impressed with the quality of the products. The wrist pad and mouse pad are both very well made and the rest parts of both do not sink in and stay that way they pop right back out and give my wrists a nice place to rest once again. I would definitely without a doubt recommend this product to anyone that is looking for a good quality product, not some cheap product that you can only use for a few weeks. This is a product that will last you a very long time and it comes with a 3 year guarantee, they stand behind the product that they sell. Centsable Mom's gives this product a 5 on the Centsable Scale which is the highest rating we can give a product. CushionCare Keyboard Wrist Pad comes with Mouse Pad LOVE YOUR HANDS AND WRIST! Ever experienced painful and tingling sensation on your fingers when using your laptop or your PC? Has your arm and hands become numb due to hours of typing and encoding? Avoid wrist complications like Carpal Tunnel Syndrome now! The CushionCare Keyboard Wrist Pad is finally here to offer the ergonomic support you need. 1. KEEP YOUR WRISTS IN NEUTRAL POSITION - This keyboard wrist pad supports your palm during periods of inactivity, ensuring proper hand position while typing. 2. PROVIDE RELIEF FOR OFFICE WORKERS AND GAME LOVERS - Made from high-quality foam, it conforms to wrists for exceptional comfort. It does not lose its shape overtime and is very durable and lightweight. 3. AVOID INJURIES that can lead to repetitive stress disorder - It helps avoid joint and wrist problems (rheumatoid arthritis, carpal tunnel syndrome). Why Choose The CushionCare Keyboard Wrist Pad? Buy With Confidence! We Offer a "No Questions Asked, 100% Money Back, 3-Year Warranty" if for any reason you are not fully satisfied. Add this amazing keyboard wrist pad on your cart today! CLICK HERE TO CHECK OUT THIS AWESOME PRODUCT ON AMAZON AND BUY YOURS TODAY! YOU CAN ALSO CLICK ON ANY OF THE PICTURES BELOW TO BE TAKEN DIRECTLY TO AMAZON TO CHECK OUT THIS PRODUCT ON AMAZON. Centsable Mom's received this product at a highly discounted rate in exchange for my opinion and all opinions are my own. This is a very well made watch at an affordable price, it has many different functions and even a backlight button and the numbers are displayed in a larger than normal format so that they are easier to see. This watch is waterproof up to 50M but let me state that too much use underwater or in water will shorten the life of this product. Click HERE To check out this product on Amazon and buy one today! I reviewed this because my husband needed a watch and he has very big wrists and I had a hard time finding watches that would fit him but this one is very versatile in that fact. This watch fit my small wrist and his big wrist so I found that to be a very positive asset to this product as well. The picture above outlines all of the positive attributes to this watch and they are definitely many. This product is also very affordable priced at $11.99 this is an awesome value. CLICK HERE AND CHECK OUT THIS AWESOME PRODUCT! I want to conclude by saying that I could not find anything negative about this product, I have worn it doing my daily chores and my husband wore it to work and neither one of us had any problems with this watch. The band is comfortable to wear and the display easy to read and it is a very nice looking watch as well. • Clean the strap by a soft cloth on regular bases is highly recommended. 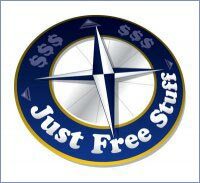 LOVE FREE STUFF CHECK OUT JUSTFREESTUFF CLICK HERE! THE LATEST FREEBIES ON THE NET! SIGN UP FOR THE NEWSLETTER WHILE YOU ARE THERE!